It's been 10 years since the small town of Hérouxville, Que., published its code for immigrants, bringing the province's reasonable accommodation crisis to boil. What did we learn? Hérouxville is a hamlet off a little-travelled highway in central Quebec and, for the past ten years, shorthand for the province's difficulties with diversity. At a town council meeting on this day in 2007, councillors unanimously adopted a code of conduct for its nonexistent immigrant population. The code included warning immigrants against stoning and burning women. It included, too, an explanation of the importance of Christmas trees. In the days that followed, it was widely derided as an Islamophobic tract and caught the attention of media around the world. Radio-Canada's widely watched New Year's Eve comedy special, Bye Bye, famously featured a skit that year portraying the town's 1,300 residents as a bunch of backward yokels. The town's reputation still hasn't recovered, Mayor Bernard Thompson said recently. He supported the code when it was passed 10 years ago, a position he came to regret after becoming mayor in 2009. Hérouxville Mayor Bernard Thompson said the code for immigrants damaged the town's reputation. 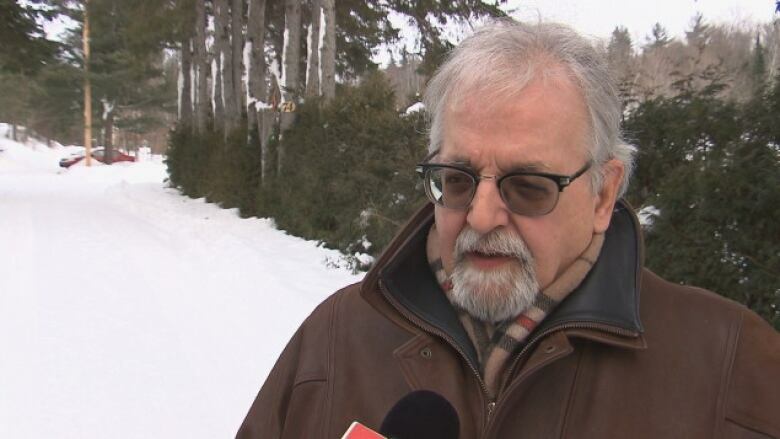 (Radio-Canada)"It's time that we stop thinking about [Hérouxville] as a village of deficients and naïfs," he told Radio-Canada. "Even after 10 years, that impact is still there." But for André Drouin, the former councillor who drafted the code and became its chief advocate, there is nothing to be ashamed of. "I wouldn't change one iota, not one word," he said recently. The Hérouxville code appeared as the province was twisting itself in knots over what was dubbed the reasonable accommodation crisis. Radio phone-in shows, op-ed pages and family gatherings at the dinner table were lit up by conversations about whether a YMCA in Montreal's Mile End district should frost its gym windows at the request of a neighbouring Hasidic synagogue or whether publicly funded daycares should serve halal meals. André Drouin, seen here in 2007, was the town councillor who spearheaded the controversial code of conduct for immigrants. (Paul Chiasson/The Canadian Press)As the debate raged, the Liberal government initially opted to remain on the sidelines. There was a sense that accommodation issues were a minor controversy, one that would soon fade away. Yolande James — at the time, the parliamentary assistant to the immigration minister — recalled thinking: "This is one of those things we're talking about now, but it's not going to stick." But Hérouxville's code for immigrants brought a simmering a public debate about diversity to a boiling point. The code quickly became a rallying point for those who felt Quebec was bending over backwards to accommodate immigrants, losing its historical identity in the process. They had an articulate champion in Mario Dumont, leader of the populist Action démocratique du Québec (ADQ), precursor to today's Coalition Avenir Québec. 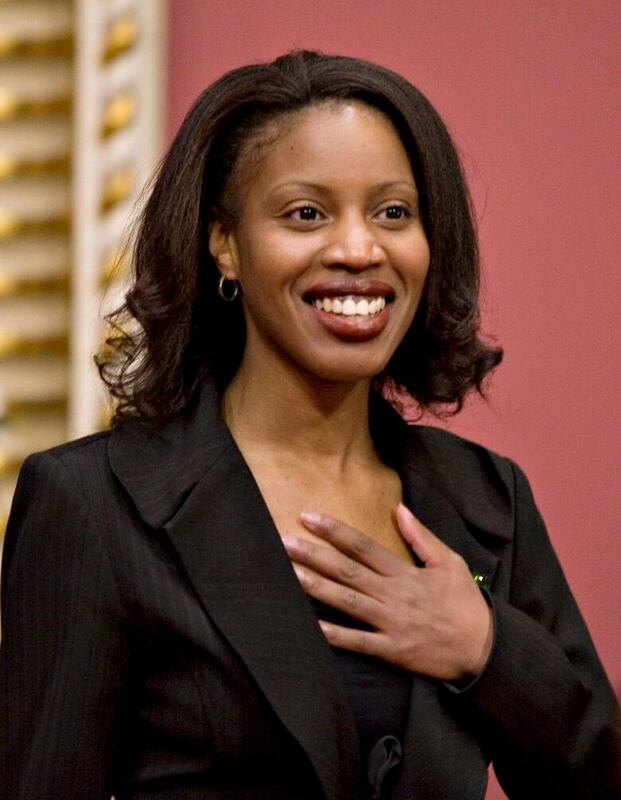 Yolande James became immigration minister shortly after the Hérouxville code of conduct was adopted. 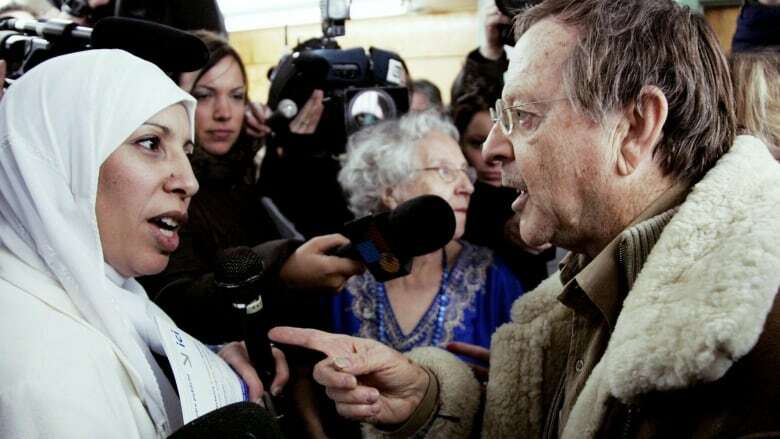 (Jacques Boissinot/The Canadian Press)On a near daily basis, he argued that Quebec had become "spineless" in the face of threats to its culture, a message that appeared to be gaining traction. In the days after Hérouxville adopted its code, several other nearby municipalities opted to do the same. With a provincial election on the horizon, the Liberals felt compelled to take action. 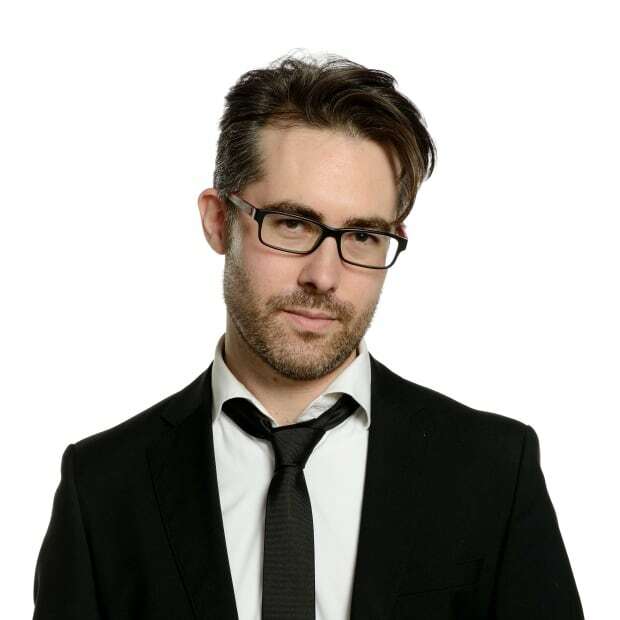 "Hérouxville, even though it was ridiculed, was a wake-up call for us," said James, now a political columnist with CBC and Radio-Canada. "That's when we realized this thing was not going away." In early February 2007, Premier Jean Charest announced the government would hold a public commission to investigate the accommodation issue. 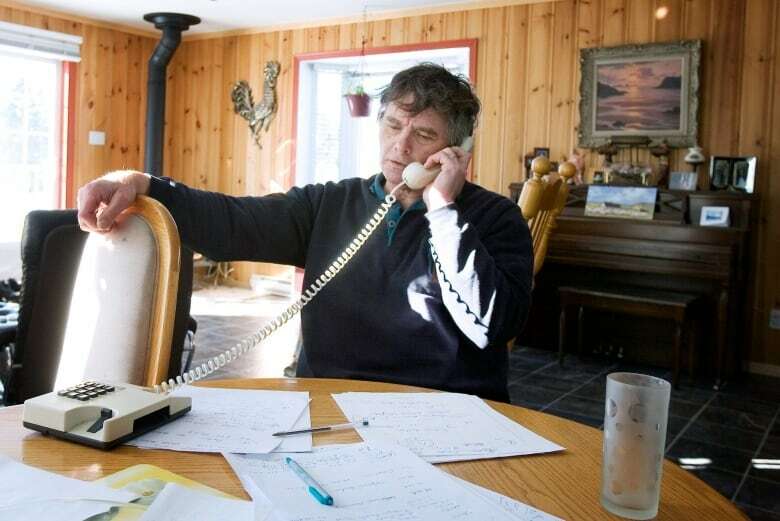 But in the provincial election that spring, the Liberals were reduced to a minority government, and the ADQ went from fringe party to Official Opposition. In the wake of that election, Charest turned to James to take over the immigration file. She was Quebec's first black cabinet minister. Her job, effectively, was to deal with the reasonable accommodation crisis and shepherd what became known as the Bouchard-Taylor commission (after co-chairs sociologist Gérard Bouchard and philosopher Charles Taylor). The Liberal caucus was nervous about the commission, she said. Were they simply creating a pulpit for intolerance by inviting Quebecers to voice their fears of immigrants and immigration? 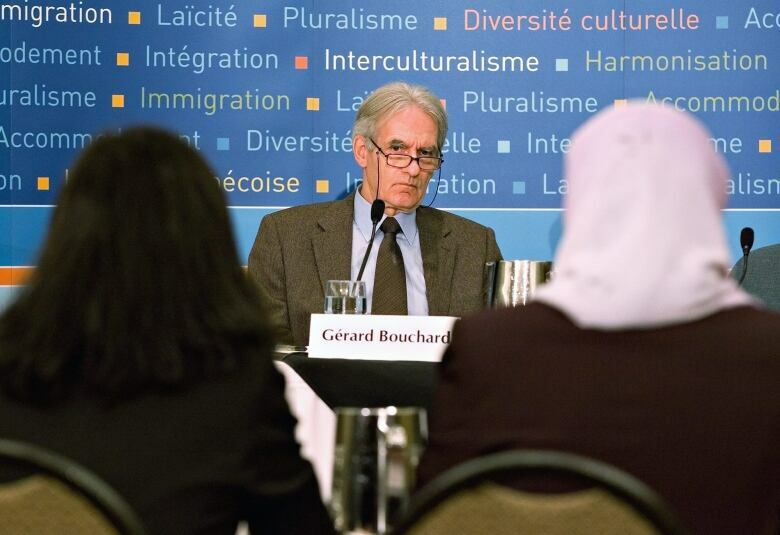 Sociologist Gérard Bouchard co-presided over Quebec's Consultative Commission on Accommodation Practices Related to Cultural Differences, along with philosopher Charles Taylor. (Jacques Boissinot/The Canadian Press)The public hearings were televised and, as the commission travelled around the province, Quebecers who considered themselves cosmopolitan were shocked by the worries expressed by many of their rural fellow citizens. "We knew we were going to be hearing outrageous things," James said. "But the consensus was, and I agreed, that the alternative of not letting people say things was going to be worse." That tension — between giving voice to anxieties about strangers and normalizing hate — remains alive today, and not only in Quebec. The Bouchard-Taylor commission was an attempt to strike a balance, said James. It sought to provide a space for people to express their concerns alongside a fact-finding process. Yes, the commission left scars, she said. And yes, it didn't solve the accommodation issue definitively. "But diversity is like a marriage, you have to keep working at it." Looking back, James says she learned an important lesson travelling around Quebec as immigration minister, one that has helped her make sense of the global surge in populist movements today. Should public servants be banned from wearing religious clothing and jewelry?